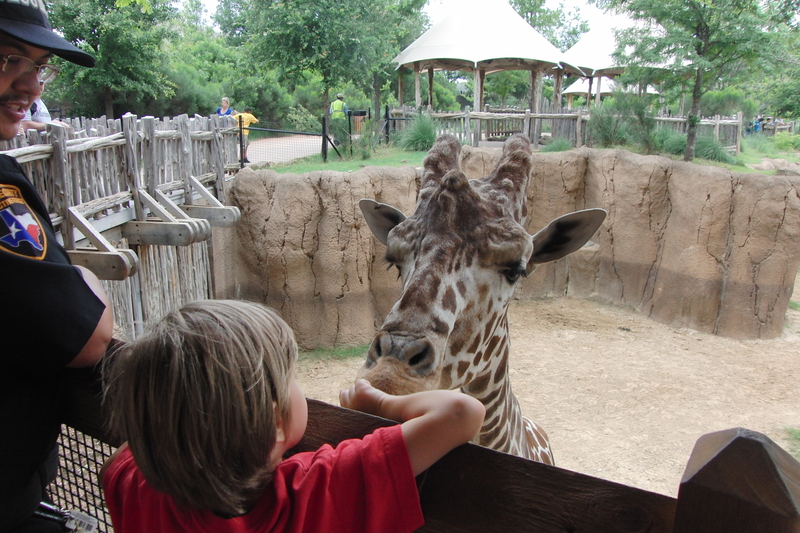 Have you ever fed a giraffe? We did one day at the Dallas Zoo one day. 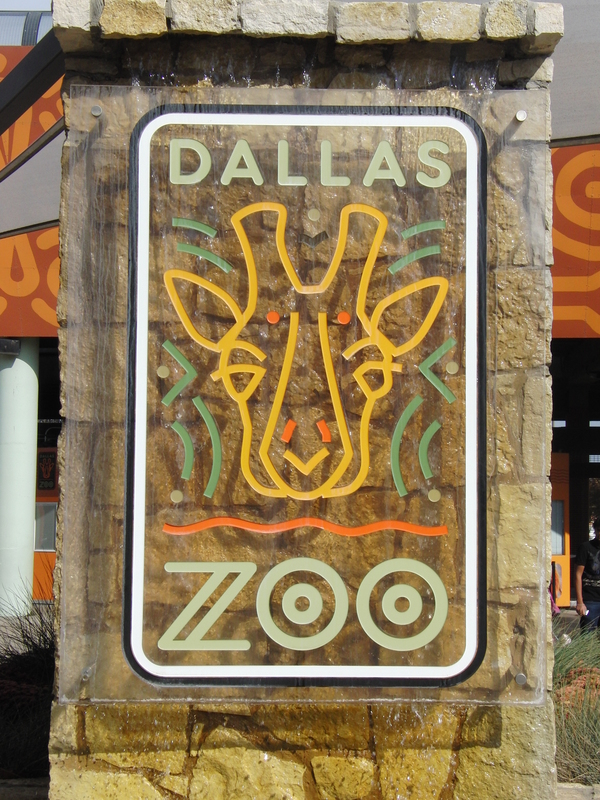 It’s obvious that the Dallas Zoo loves their giraffes, they have pictures of giraffes on their sign. 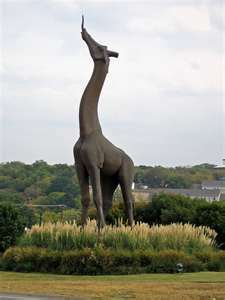 Even a statue of a giraffe at the entrance to the zoo. So we were excited to get a chance to feed them! The giraffes are located in the eleven acre Giants of the Savannah exhibit, and they share their habitat with elephants, zebra and even ostriches. It’s a beautiful place to just sit back and watch them going about their daily routines. 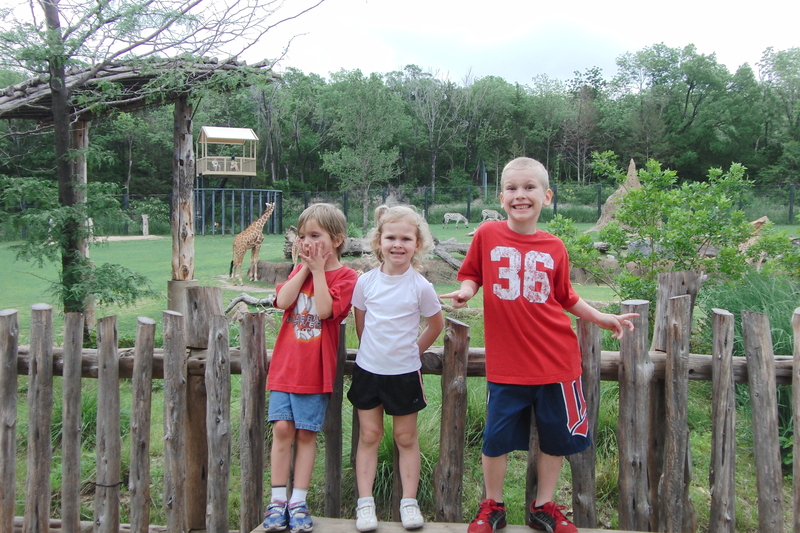 At the Diane and Hal Bierley Giraffe Ridge, I paid $5.00 for 6 special “giraffe” crackers to feed to them. Then I paid another $5, and another, because the kids loved getting to feed them, and even touch them! 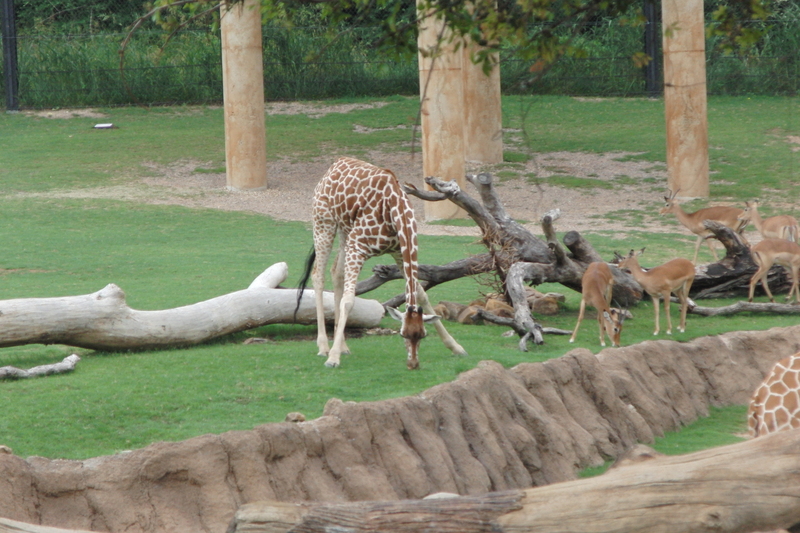 When we finished feeding them, we asked about the baby giraffe that was born in 2011. She was the first baby giraffe born at the zoo in over 2 decades, and we have enjoyed watching her grow up! The zoo held a contest to name her shortly after she was born. Out of countless entries, the zoo chose the name, Jamie, after a little 7 month old boy, James, who passed away from a rare brain tumor just days before the baby giraffe was born. His parents entered the name Jaime in the contest, and via their blog, asked others around the state and country to submit the name in his honor. So little Jaime the Giraffe is a wonderful living memorial, as well. 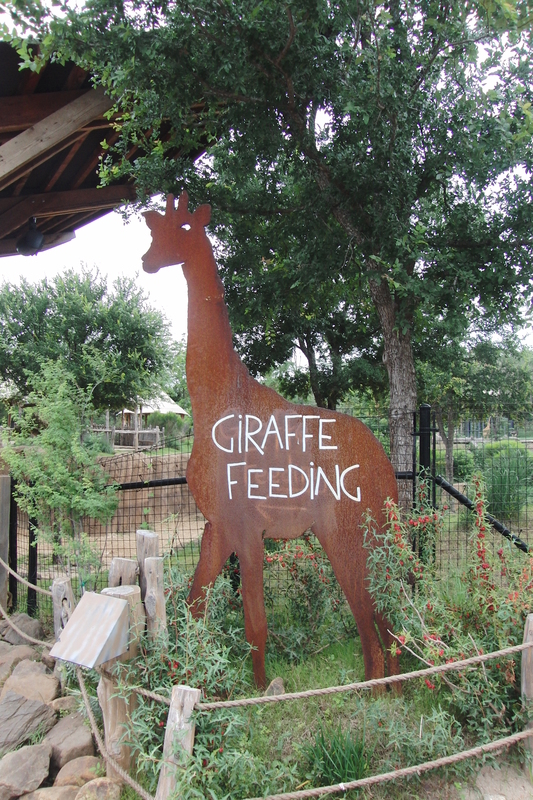 The Giraffe Feeding Station is open 7 days a week, during regular zoo hours. During different times of the day, they offer different types of food, so the giraffes don’t tire of what they are being fed.